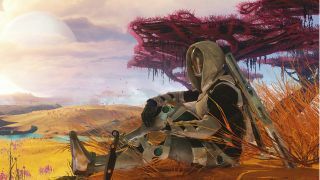 Clearly still in the mood for New Year's resolutions, the Bungie team has shared a massive blog post that outlines improvements coming to Destiny 2 this year. Guardians can expect to see changes to microtransactions at the in-game store, the Eververse, the addition of Masterwork armor, and a change to raid rewards. First up, those controversial paid-for items. "We recognize that the scales are tipped too far towards Tess at the moment, and Eververse was never intended to be a substitute for end-game content and rewards," says live team boss Christopher Barrett. Players can expect to see three major changes as a result: items, including Ghosts, Sparrows, and ships, will appear more often as activity rewards, as opposed to Bright Engrams. Bungie will "provide a gameplay path to earn Bright Engrams and all contained rewards (including Event Engrams)." And when you do want to spend money, you'll have more direct control over what items you're getting. "We’ve begun implementing these changes for the Crimson Days event beginning February 13 (with even more changes on the way in Season 3)," says Barrett. The recently added Masterwork system for weapons now extends to armor. "Masterwork Armor provides increased damage reduction while using your Super," explains Barrett. "You can reroll the armor stat type on Masterwork Armor, and similar to Masterwork weapons, you can upgrade a piece of armor to Masterwork by spending Masterwork Cores and Legendary Shards." If you're raiding, the reward is really the friends you make along the way. I'm joking, of course - it's the sweet, sweet loot. The good news is that a big part of the update is the addition of "more unique and interesting" rewards. "They will now feature mods with Raid-specific perks, and we are adjusting the rewards to ensure a Raid item drops from each major encounter," promises Barrett. "The Raid vendor will also directly sell Leviathan and Eater of Worlds armor and weapons for purchase with Raid tokens and Legendary Shards." Guardians will also get the chance to score "a new Ghost with Raid-specific perks" from the Leviathan and Eater of Worlds final encounters. There's lots more to the update, so whether you're a casual raider or you've gone into a full Reddit rant about a hand cannon, it's worth reading the post in full.